As a former professional ballet dancer, Jane has long known that a strong body gives you confidence while back pain is debilitating. Jane's study of dance sparked a deep interest in movement science, postural health, and creating symmetry - equal strength and coordination - on both sides of the body, which is especially important for people with spinal asymmetry to work towards as well as athletes whose sports create imbalances. She came to yoga over 18 years ago, and immediately fell in love with a whole body practice that satisfied these life-long interests, with the bonus of reducing stress on her mind and body. In 2012, Jane began to study with the foremost alignment-based yoga and backcare specialist, Alison West of Yoga Union Backcare, Scoliosis and Therapy Center, NYC, from whom she became certified to teach backcare and wall ropes classes, and Deborah Wolk of Samamkaya Yoga Backcare and Scoliosis Collective. Jane is also a certified Yoga Therapist, through the International Association of Yoga Therapists. Jane has also received continuing education units from Hunter College's Physical Therapy Department for her participation in "Integrated Wisdom: Yoga Therapy for Scoliosis based on the teaching of the Schroth Method" designed to further awareness between Certified Yoga for Scoliosis Instructors and Schroth PT's and their methodologies. 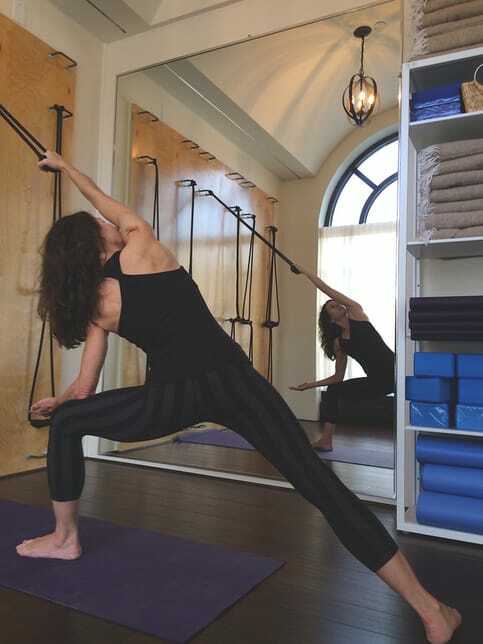 ​By utilizing wall ropes to decompress the spine, along with other tools of alignment based yoga and neutral spine work, Jane is able to correct whole body misalignments and build whole body strength to support the back, as opposed to other systems that fail to address the entire body. ​Currently, Jane teaches Yoga for Scoliosis at Yoga Union’s Backcare, Scoliosis and Therapy Center as well as the only Ropes and Slings class offered anywhere. ​Jane co-created My Back and Body Clinic because of her deep desire to share the remarkable benefits she has witnessed in her years of teaching alignment-based and back care yoga to students in NYC. Additionally, Jane holds teaching certifications from Cyndi Lee of OM Yoga Center - one of NYC’s most famous Vinyasa studios - where she was a member of the teaching faculty, and Raji Thron of Yoga Synthesis, Ramsey, NJ. Beyond her work with backcare, Jane teaches Wall Ropes Workshops, Pelvic Floor Workshops, Vinyasa Yoga, Intro to Yoga, Restorative Yoga and does Personal Strength Training. Jane also holds an M.A. in Communications and conducts seminars in Corporations and Universities.